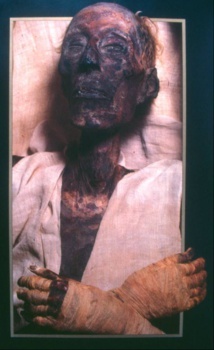 In 1992 an exceptional rich tomb dating from the Late Bronze to the Early Iron Age period was discovered in the village of Sahem in the north-west of Jordan close to the Yarmouk River and the Syrian border. 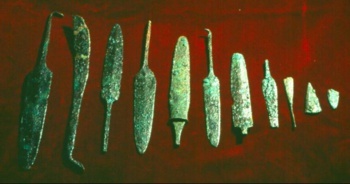 The burial gifts contain more than 200 items of fired clay, stone and metal including objects of bronze, silver and gold. 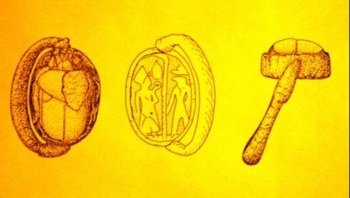 Clay vessels, figurines of clay and stone, scarabs of composite, carnelian and rock crystal, daggers and other bronze tools, jewellery and toggle pins are amongst the objects. 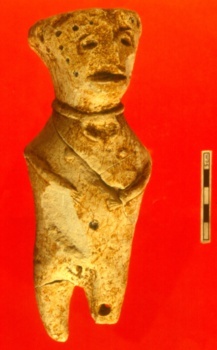 The objects are both locally made, including imitations of clay objects of foreign origin, e.g. 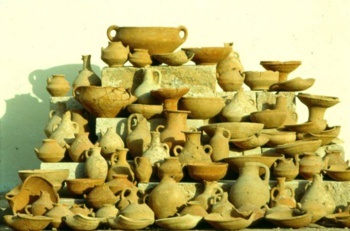 from the Mycenaean culture, and imports which came mainly from Egypt. The processing of the material include attempts to date the burial gifts, to group obviously contemporaneous items in order to establish a phasing, and to draw some conclusions about the society to which the tomb belongs. The goods reflect the life of a prosperous society, whose wealth was based on agriculture. The evidence of trade with Egypt, the Mycenaean world and Syria is indicated. 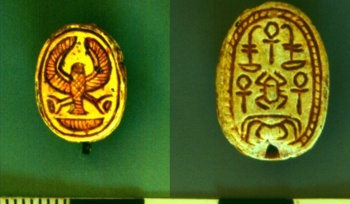 Religious activities and burial customs are mirrored by two figurines (see below left) depicting the syncretism of the Egyptian goddess, Hathor, and theCanaanite goddesses Ashera/Astarte/Anat. 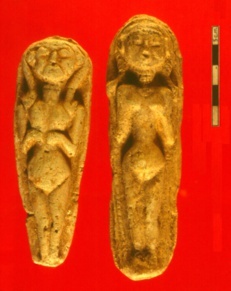 There is also an unusual figurine of limestone which once had a wig (see below right). 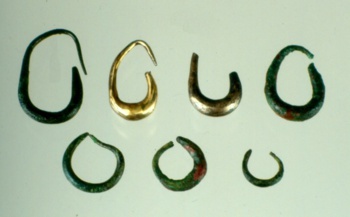 Finds of metall include a bowl of bronze and earrings of gold, silver and bronze (see below). 1. Fischer, P.M. and O.Keel, ‘The Saham tomb: The scarabs’, Zeitschrift des Deutschen Palästina-Vereins, 111,2, 1995, 26-32 and Figs. and Pls. 2. 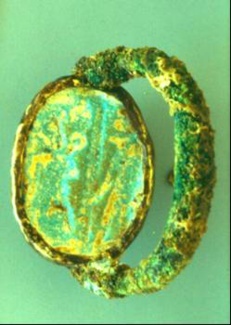 Fischer, P.M., A Late Bronze to Early Iron Age Tomb at Sahem, Jordan. Abhandlungen des Deutschen Palästina-Vereins 21, 1997, Harrassowitz, Wiesbaden (monograph). 3. Fischer, P.M., A Late Bronze to Early Iron Age Tomb at Sahem, Jordan. Near Eastern Archaeology 61, 4, 1998, 255.